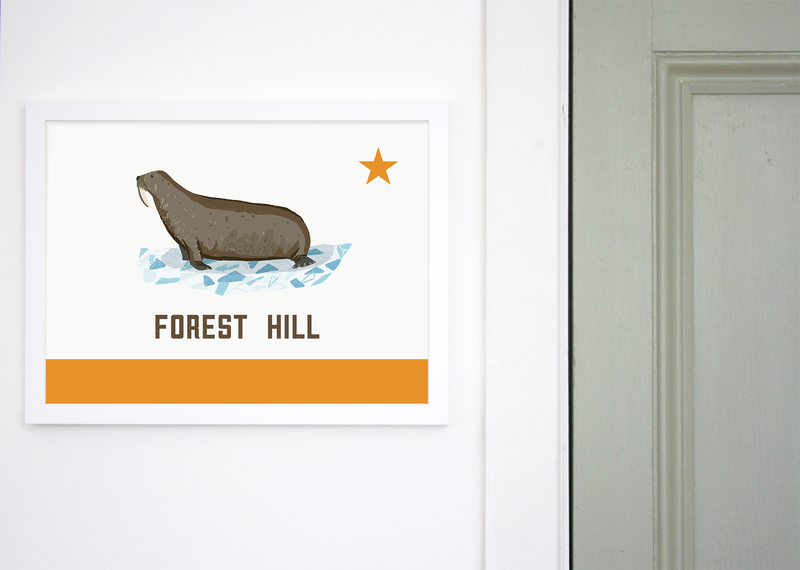 Fly the flag for Forest Hill with this quirky take on California's Bear Flag. 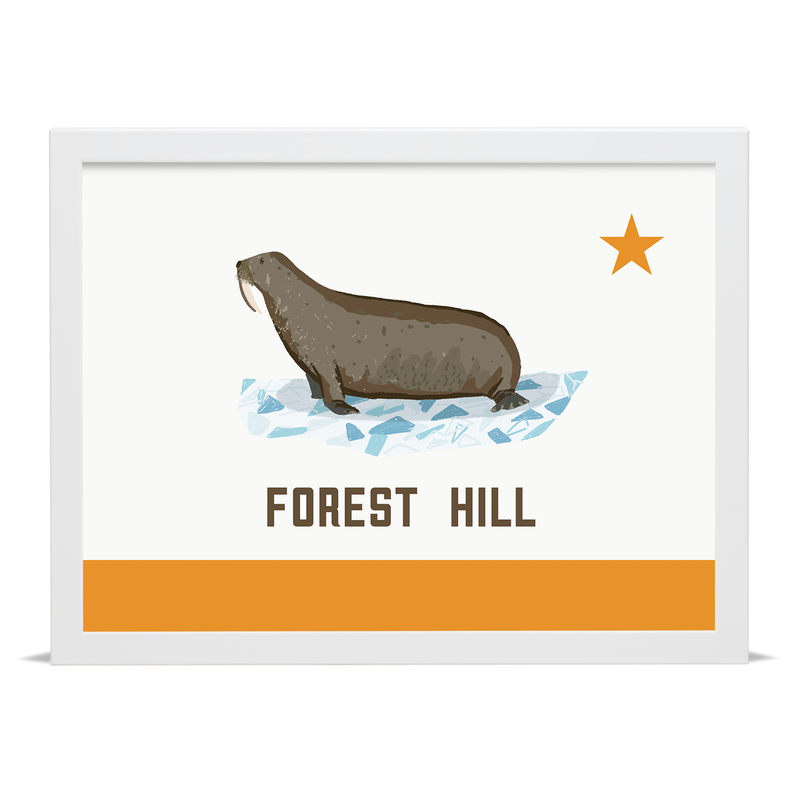 Featuring the Horniman Museum's famously over-stuffed walrus, this illustration is a must-have for Forest Hill residents past and present. We commissioned talented illustrator Alex Foster to produce the walrus illustration featured in this design. He sits on top of the Forest Hill title and London Overground orange bar beneath. This is an open-edition print and is available ready-framed or unframed so that you can arrange a bespoke frame of your choice. Each print has been produced in our studio and has been hand embossed for authenticity.